Your ADT Pulse Thermostat, along with your ADT Pulse system, conserves energy and saves you money and valuable time. Remote acces lets you manually adjust your thermostat from anywhere you have internet access, so that you can constantly monitor your energy consumption. You can also set up a schedule to have a warm toasty room at specific times each day. Or set up an automation where another event in your system causes a reaction in your thermostat. For example, arming your home security system can turn the thermostat down automatically. That way, you can't forget to adjust the thermostat when you are gone. 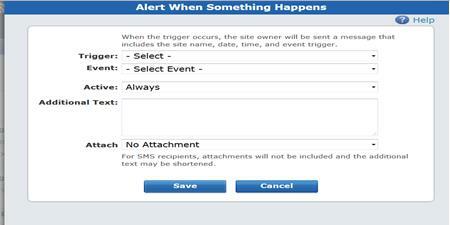 Alerts send you text messages and/or emails that alert you that certain events have occurred. Set up an alert to text anytime it hits below 60 in your home, them remotely adjust the temperature if necessary. Finally, settin up a modes will direct the thermostat to act in a pre-described manner each time that mode is enacted. Your thermostat can have a low setting in "vacation mode" and a warmer setting for "at home mode". 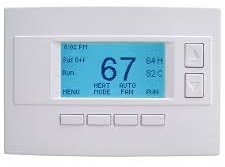 Activating each mode will automatically tell your thermostat, locks, lights, cameras and security system to do its specified job for that mode, with one simple command. Most people select the Pulse Level III with Home Automation to experience a richer user experience that includes the avility to set up your ADT Pulse system to run many daily duties automatically. Your ADT Pulse Thermostat is one part of Level III platform that take energy management to the next level. Check out our video here and then read on for more in-depth details and step-by-step instructions for setting up your system. To set up a No-Cost In-Home Security Review and expeience ADT Pulse Home Automation with thermostats for yourself click below or call us at 1-800-310-9490. If you have done any adjusting with your ADT Pulse system, then you know it’s a cinch. It might seam like zillions of steps, but they are just several super simples steps that we'll walk you through and you'll be a master in no time! The ADT Pulse on-line portal gets rave reviews for being simple, efficient and user friendly. If you haven’t used a mobile device or your web portal yet, let’s dive in! When you log into your portal, you land in the Summary tab. You can click on the current temperature in the Other Devices section or a thermostat icon in the Home View section of the Summary tab to get the "Actions pop-up" window for that thermostat. Cool to: The air conditioner turns on if the temperature goes above that setting. Heat to: The heat turns on if the temperature goes below that setting. Mode: Allows you to set the thermostat to Heat, Cool, or Off. Fan: Allows you to set the fan to always on or to come on automatically when heating or cooling is active. Each option has a pull down menu to make any desired changes. Click Set to save the changes and a message confirms that the change will take place in a few seconds. Click OK and you return to the Summary tab. Moments later the change appears next to your thermostat in the Other Devices section. With an Android or Apple device, logging in brings you to a home screen with your tabs bar across the top. Select the Thermostats tab to display all active thermostats in the house. By touching the thermostat you desire to control, you will get that thermostat’s action screen. The same 4 functions apply. The ability to control your home’s thermostat from your web portal or mobile device puts you in control of your home’s use of energy at all times. With the ability to adjust on the go, you don't have to choose between arriving home to a comfortable home or being energy efficient. If your family has a consistent routine, then schedules are for you. Setting schedules for your thermostats allows you to pre-set when you want the thermostat to turn on or off and it happens automatically. Let’s go into the Web Portal to the schedules tab and create a “Work Day Schedule.” When you click Add Schedule, you get the “Add Schedule pop-up window”. When: 7am to 6pm (click More Options) to get the end time options. 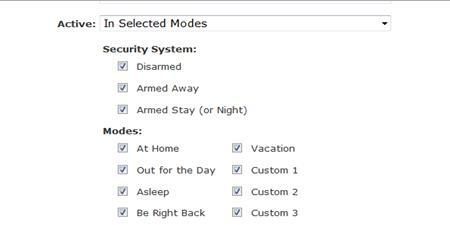 Active in Selected Modes: Security System: Armed Away and Modes: Out for the Day and Be Right back. Set Thermostat to Heat to. A box will appear for the desired temperature, let’s select 65. Set Thermostat to Heat to and 72. Now you have a schedule that keeps the heater and lights off from 7am to 6pm, then at 6pm turns exterior lights on and at 6:30, sets the temperature to 72. It’s as simple as that. Now let’s look at setting up thermostat automations. An Automation is an action that you want to happen because something else happened. For example, whenever you arm to Armed Stay, you want the thermostat to heat to 65. Another example might be to heat to 60 if the temperature drops below 58 so those pipes don't freeze. So let’s set those up. In your Automations tab, click Add Automation to get the “Add Automation Window." There are two automations all set up for you. Now let’s look at getting alerts of what's going on with your system. Add Alert, then the "Select Alert Type" pop-up window appears. Additional Text: Temperature too low. Click Save. You will receive an alert anytime the temperature falls below 59. Click here to learn more about alerts. Imagine pulling into your driveway and using an app to set “Arrive Home Mode" on your ADT Pulse system. In response, the security system is disarmed, your front door unlocks, the garage door opens for you to pull in , the perimeter and entry hall lights come on and the thermostat adjusts to 78 degrees. This is how modes uses your thermostat with the rest of your ADT Pulse system to bring you great home automation. 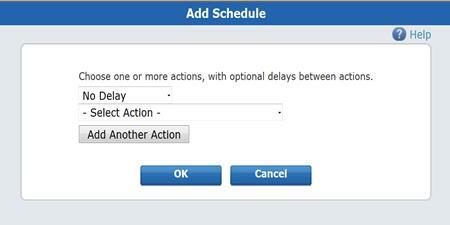 Modes combine automations, schedules and alerts into one cohesive scenario. What's great is that we've just covered most of the steps to set up a mode. 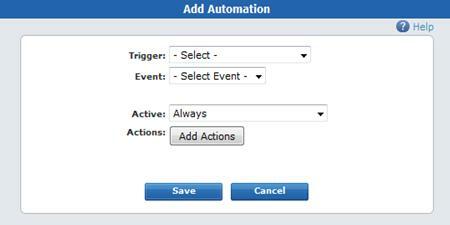 When Assigning the Active times for your automations, schedules and alerts, the default is "Always" active. This would make them active in all modes. To assign specific modes, select In Select Modes in the "Active Drop-Down Menu" and specify what modes the action should be active in. Using modes pulls together all the benefits of the ADT Pulse Level III System with Home Automation; your cameras, climate control, lighting control and the best home security available, functioning together as appropriate to what your are doing at that moment. Be it vacation, out for the day or your work and school day schedule, a few minutes of setting up parameters allows you to set a scenarios where your home does exactly what you want it to all by itself. It even alerts you of critical events. Read more about setting up modes here. If you haven't experienced ADT Pulse with Home View and Home automation, give us a call at 800-310-9490 and experience it today. If you've already made the smart decision to have an ADT Pulse Level III system installed in your home, make sure you are getting the most out of your system and then refer a friend to experience the protection you have.